This bird visited Birdwatching Dot Com the day before Thanksgiving. It's got wings of a white-throated sparrow, and the white throat, though without the crisp border. And the spot before the eye is white, not yellow. Other than that, it has the hood of a junco. 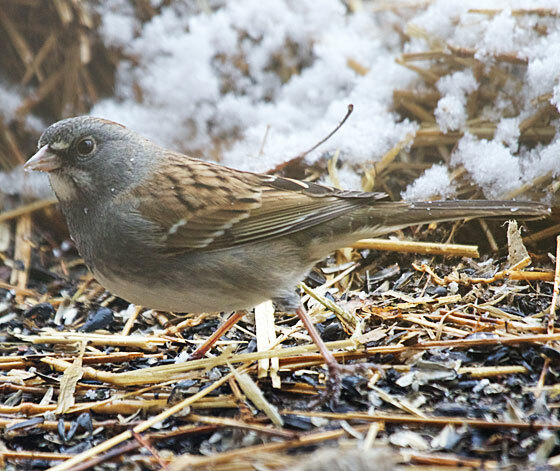 It is a hybrid of a white-throated sparrow and a dark-eyed junco. The first hybrid bird I've ever seen, not counting waterfowl. 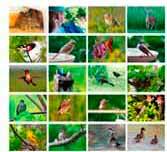 Created by Michael and Diane Porter, of this Birdwatching Dot Com website.